Lugarde Toronto Log Cabins: The Lugarde Toronto Log cabin is an attractive garden log cabin and is presented as standard with a double door and two casement windows (opening outwards) all Windows and doors are DOUBLE GLAZED as standard and are available with 44mm or 68mm wall logs. There are many other alterations that can be undertaken with this building so that it can be made to fulfil most requirements. The integral canopy measures 100 x 250cm approximately. 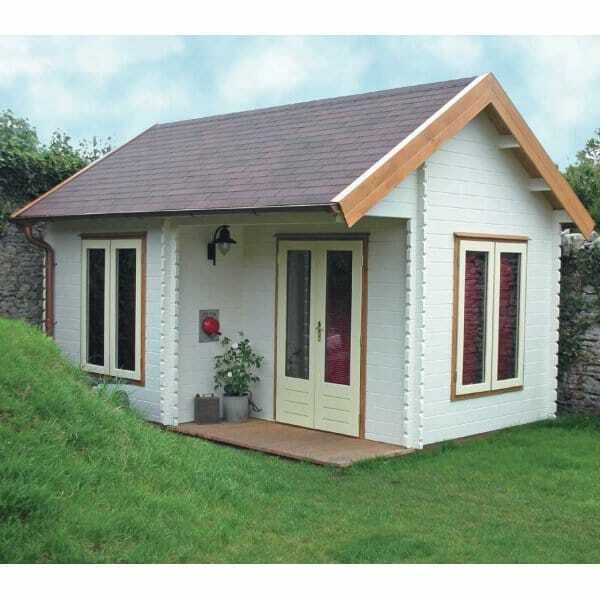 Another stunning garden building from Simply Log Cabins.